In partnership with local chambers of commerce, WELCOME HOME is a new mover marketing program designed to help get businesses noticed and in front of one of the most valuable audiences – new residents. WELCOME HOME is created specifically for your community, offering yearlong marketing exposure to businesses looking to catch new residents at an important time as they establish new buying habits. 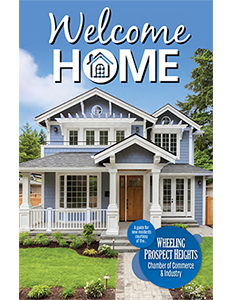 The WELCOME HOME program is a remarkable advertising tool, highly visible, targeted, and direct to the mailbox, introducing business to new residents. 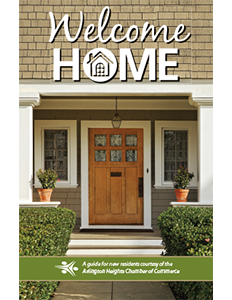 In addition, WELCOME HOME is distributed to local libraries, park districts, the chamber of commerce, village hall and other areas in which new movers are seeking information on products and services throughout the community. Don’t miss this opportunity to market to new residents – on a monthly basis – all year long!